Please note: This event is now FULL. No further places are available. 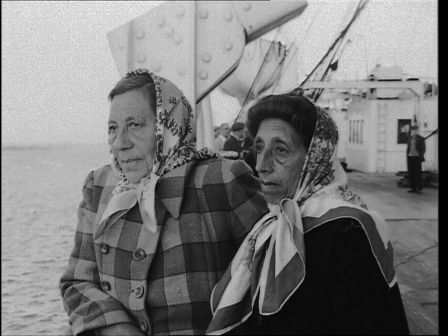 This UWS research and knowledge exchange event offers a series of talks and archive film and media screenings which each commemorate this remarkable story from the despair of 1961 evacuation to the elation of 1963 resettlement. It also provides an occasion to focus on the present, the successful rebuilding of a sustainable Tristan da Cunha and to invite reflections on 50 years of change on islands here in Scotland, in Tristan, and elsewhere. Our theme for the day is that of the images, the issues, and the reality of small island community life. Our examples are largely drawn from Tristan da Cunha but also from the island communities of Scotland, including the Hebrides and Shetland. A range of speakers including academics, educationalists, film-makers and island community enthusiasts will share experiences and information together with the audience. 15:30 16:00 Illustrated Talk: Island Links – A Royal Society Expedition Link with Barra. The event was a great success with a full house of people from all corners onshore and off-shore of Scotland, Ireland, England and the Isle of Man. It was great pleasure to welcome so many to this Scottish Centre for Island Studies event and we were most grateful to the speakers, chairs and all guests for making the time and taking the effort to join is in this small commemoration research event. I am in the process of psoting up some photographs of the day to the and there are a fair few folk there to ‘spot’! Thanks to everyone involved for contributing so generously to the day’s success.